Another week of photos for your viewing pleasure. 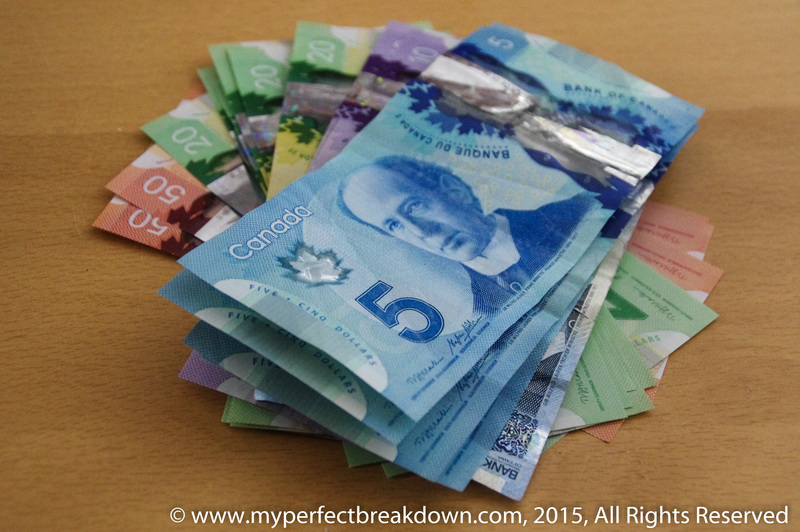 Day 209 – January 31 2015: So many happy moments today. My day started when I woke up to beautiful snow. Then I discovering our neighbours had shoveled 80% of our sidewalk. Next I enjoyed a delightful afternoon of snuggling with Sadie while watching Dirty Dancing. Then Mr. MPB and I enjoyed a stress-free, wonderful dinner out with friends. Ultimately, the happy photo goes to our cab that allowed us to indulge in a few alcoholic drinks without any worry about driving. 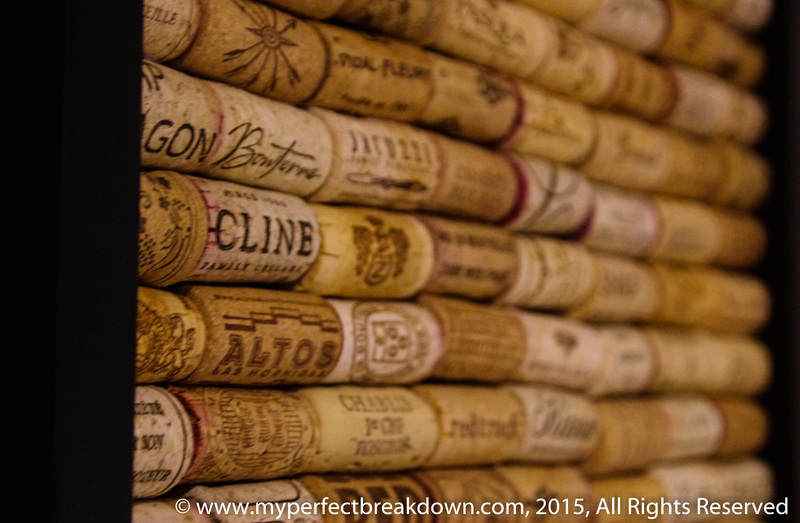 Day 210 – February 1, 2015: At dinner last night I asked the waiter for the cork from our wine for my current do-it-yourself project. Much to my delight he gave me an entire bag full of used corks! So today I was filled with happiness as I was finally able to finish my real cork board. I love it! Day 211 – February 2, 2015: We are currently selling things around our house that we do not want in order to buy something we do not need but want – a new and rather expensive camera lens. Today, I am happy because thanks to Kijiji we sold a few more of our unwanted things and we are now almost half way to buying my new toy. Day 212 – February 3, 2015: My happiest moment today was listening to Olaf sing In Summer as I was driving. Unfortunately, I had no way to capture this in a photo because I have no idea how to photograph a song, and secondly it clearly would not have been safe to take a photo while driving. So, instead, my photographable happy moment was when I stopped to buy new shampoo and they gave me free moisturizer. I have no idea if it’s any good, but I do love free stuff. 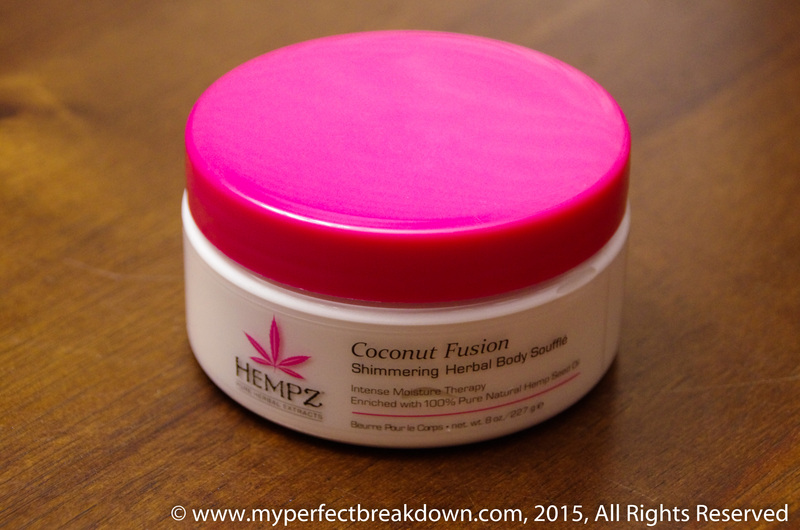 And, as an added bonus, my super sensitive dry skin is loving this moisturizer!! Day 213 – February 4, 2015: Today was not a good day. 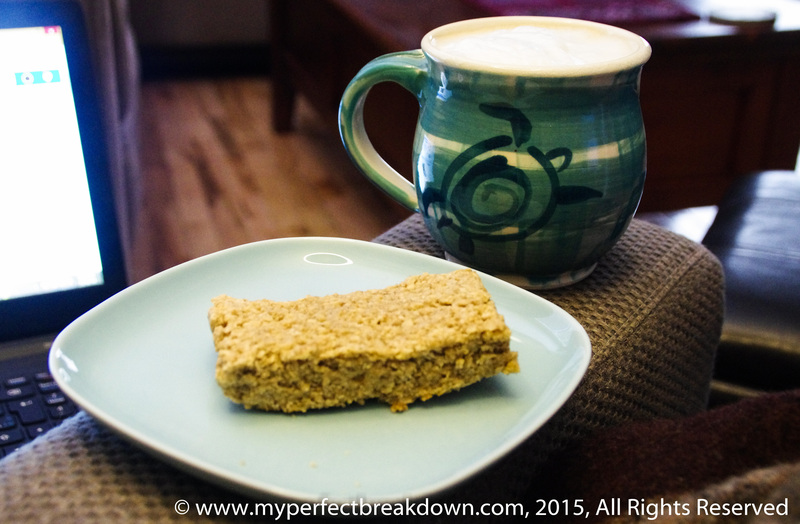 My happiest moment was first thing in the morning when Mr. MPB brought me a homemade chai tea latte and homemade replica Starbucks oat bar. Day 214 – February 5, 2015: After a nasty fall in the morning, my day consisted of cancelling lunch with a good friend so that I could go get x-rays. Not my idea of fun. 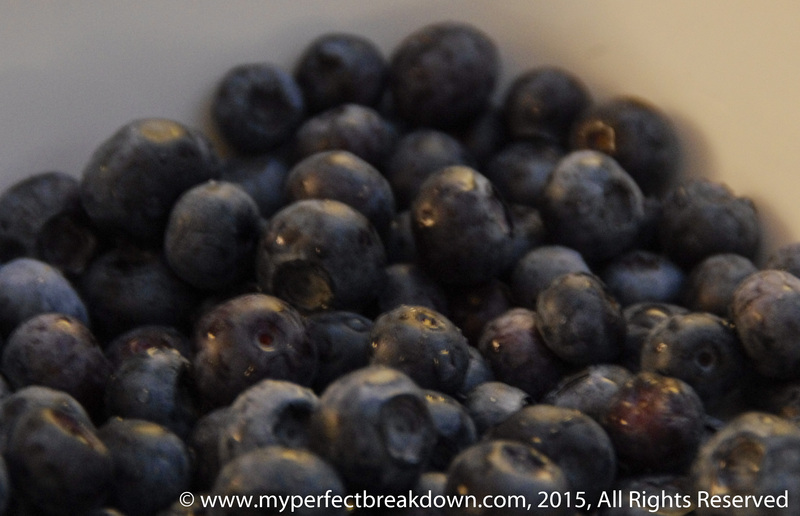 But I did find a moment of happiness when Mr. MPB brought me a bowl of blueberries for a snack – a rare winter treat. 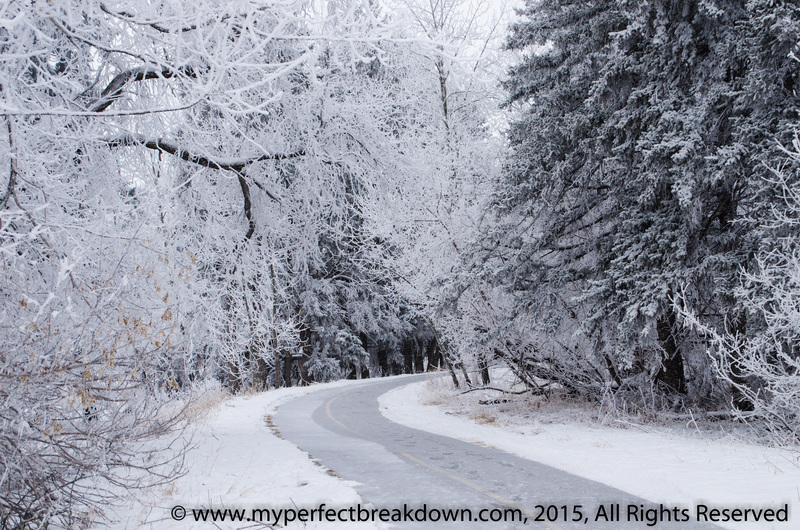 Day 215 – February 6, 2015: This is my idea of a perfect winter day. Are you aiming for a year of happy moments at this point, or just going until further notice? 🙂 I love it!! I love that cork board too, very cute!! I’m sorry you had such a rough week, hoping that next week is better for you friend! Thank you so much Amy! I love my cork board too, and I really hope next week is better to me!! I hope you have a good week too! I agree with him!! Once I saw you go past 200, I figured you’d just go for a year…then maybe 2, or 3, or forever lol!! The ankle still hurts, but I did manage to do almost a full work out yesterday, so I’m just learning to live with it. Wow! So many surprise treats this week. I love the cork board and how the corks are from a variety of blends (if it were our household accumulated corks, they’d all pretty much be the same). Those Starbucks-like oat bars look good! Your man is so talented. I really like your winter scene- it makes the cold worth it sometimes. Heal up quick my friend. There are many adventures ahead. Thanks for enjoying my moments with me! Wishing you a wonderful next week as you embark on another adventure!! That is still a very legitimate photo! You captured such a beautiful winterscape. How’s the limb doing? Good for you! You are such a trooper! I always appreciate a good mystery – I hope it stuck in your head for a good reason, it’s been a crazy week so I fear I may have upset you with something I have said. I hope you are doing okay. What type of lens did you buy??? Prime lenses are the way to go, or so I understand. I have no doubt you will have so much fun with that lens and capture so many memorable moments.